AJ shows you how to eliminate fat shots from your game. 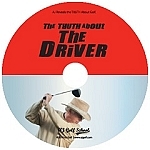 The players on the PGA Tour have a saying that goes "Thin to Win,"because you can hit shots a little thin and the ball will still travel pretty close to the distance you intended. But a shot hit fat never goes anywhere. 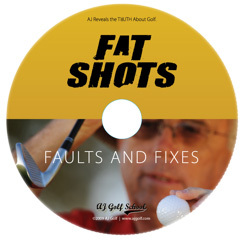 In this DVD, AJ will show you exactly what causes the fat shot, and how you can cure it.